After having one of Iceland's best selling rock albums and touring their local scene frequently, last year has seen Dikta bring their powerful, organic pop/rock to places like London, New York and Copenhagen. Dikta's four members have been friends since they were children and started the band a few years ago. Together they've grown into a soulful and heavy indie-rock band, putting their emphasis on storytelling and dynamic song progressions. Last year they've played on festivals such as the SPOT-festival (Denmark) and Iceland Airwaves. Their powerful performance in front of a packed venue at Iceland Airwaves earned them a mention in Rolling Stone magazine. Hunting for Happiness is their second LP and three of its singles have reached the top of the charts in Iceland. The album was produced by Ace of Skunk Anansie and was released by the Sugarcubes-owned label, Smekkleysa (Bad Taste). The outstanding album artwork was made by Gabríela Fridriksdóttir, who ranks amongst Iceland's greatest artists and has previously collaborated extensively with Björk. 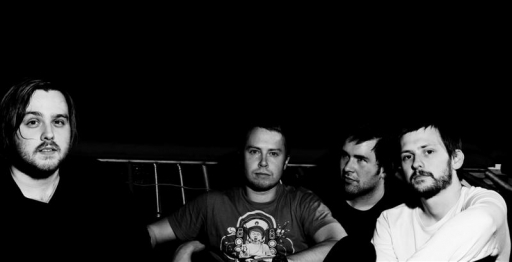 Dikta is currently writing material for their next album, due out in early 2009. They have been approached by a veteran US producer and are in talks about working with him on the recording.